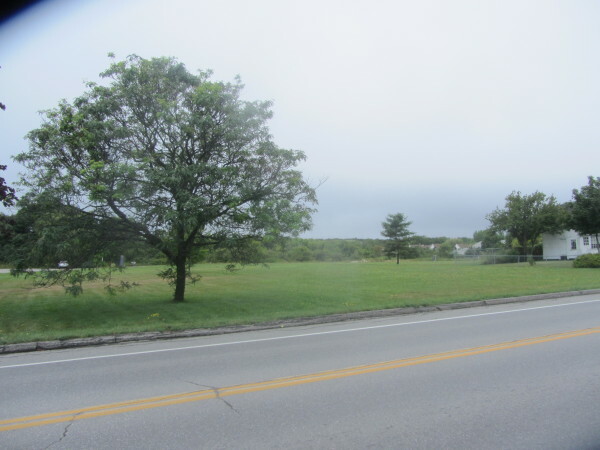 The former MacDougal School property in Rockland is one site being considered for a municipal solar farm to help defray a large portion of the city government's electrical costs. ROCKLAND, Maine — The sun could be providing the majority of electrical power for city government buildings by next summer. The Rockland Energy Advisory Committee voted unanimously Wednesday to recommend the city proceed with studying the feasibility of the projects. City Councilor Larry Pritchett said if the projects are determined to be feasible and the council approves, he expects the solar panels would be erected during the summer of 2016. The two most attractive sites for the installation of solar panels are the former MacDougal School property on Broadway and property next to the transfer station that is a filled quarry previously used for waste disposal. The city is projected to spend $466,184 for electricity for the current budget year, Pritchett said. He said the solar project could pay for about half that expense. The former MacDougal School property is a “picture perfect” site, the councilor said, because it has no significant shade, is flat land and there is three-phase power. The panels would be about 4-feet tall if they were flat and up to 8-feet tall if installed at an angle. The MacDougal property totals a little more than 5 acres. Pritchett said that even with the solar panels, the lot is large enough to leave space for trails, parking and potentially some other type of development. Other sites being considered are Snow Marine Park off Mechanic Street and J.C. Park off Old County Road. Pritchett said two good sites could produce about 660 kilowatts, enough to provide electricity for more half the city buildings. The councilor said the city should consider a lease-to-own power purchase agreement. The potential city solar project would be slightly larger than a separate private project being considered by ReVision Energy of Liberty for more than 1,100 panels on a 2.5 acre lot on Holmes Street. The project could provide enough electricity — 350 kilowatts — to power about 67 homes.